Get a jump-start on your spring cleaning with Amazon’s Deal of the Day. Today, the online marketplace is offering a sale of up to 72% off select Rubbermaid commercial products. Included in the discounted selection are a trash can, a service cart, a vacuum, a sweeper and more. 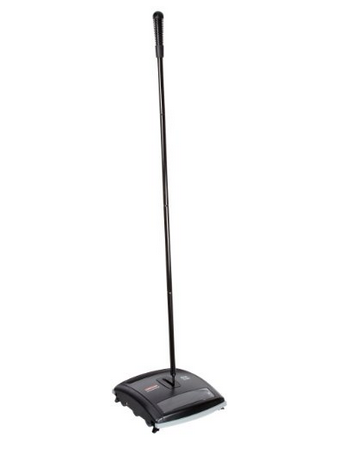 For some heavy-duty cleaning, the Rubbermaid Commercial Executive Series Galvanized Steel Brushless Mechanical Sweeper is being offered for $84.18 (regularly $112.84). After all that sweeping, you’ll need somewhere to put the trash you collect. The Rubbermaid Commercial 23-Gallon Untouchable Trash Can with Swing Lid Combo is available for an impressive 72% off. Amazon.com is selling the product for $31.99 (regularly $112.32). These sales last today, Jan. 15, only. Check out the deals at Amazon.com.